PrimoFlex® premium hose 1/2" - 50 m 26451510 https://www.kaercher.com/ie/home-garden/watering-systems/hoses/PrimoFlex-r-premium-hose-1-2-50-m-26451510.html 50m PrimoFlex® premium quality garden hose (1/2"). Patented double reinforced technology. Unharmful to health. Bursting pressure: 50 bar. Temperature range from -20 to 65 °C. The PrimoFlex® Premium quality hose, which measures 1/2" in diameter and 50 m in length, is perfect for watering areas and gardens of any size. 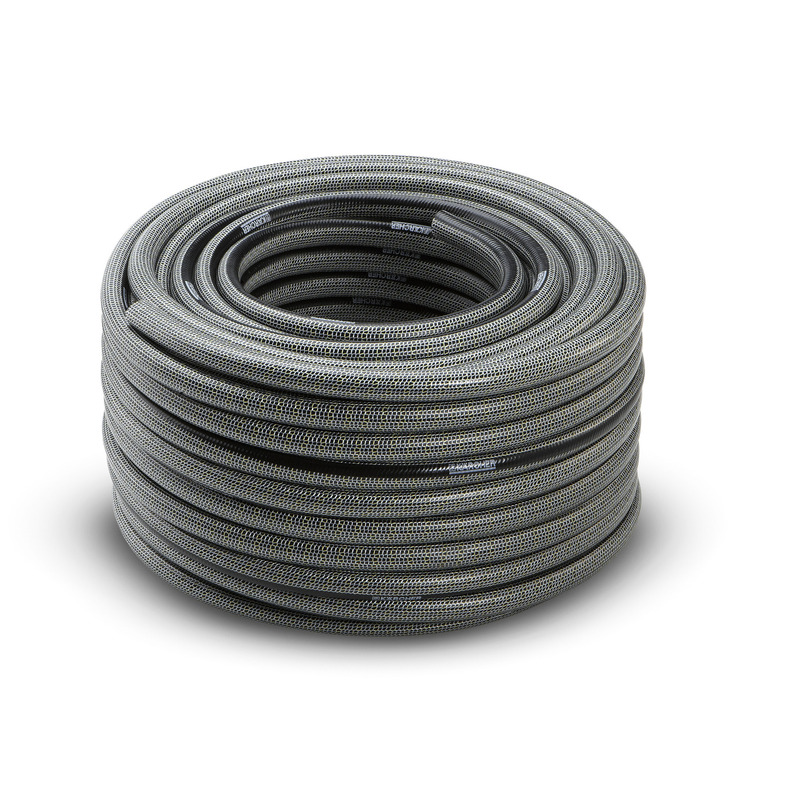 The twist-resistant, five-layer garden hose features patented dual-reinforcement technology. The unique strengthening mesh enables this hose to withstand extremely high pressures – the bursting pressure is 50 bar. The quality hose is free from phthalates (< 0.1%), cadmium, barium and lead – meaning it contains absolutely no substances that are harmful to health. The weather-resistant anti-UV outer layer protects the material and the opaque middle layer prevents algae from building up inside the hose. The hose also boasts an impressive temperature resistance of between -20 and 65 °C. We offer an 18-year guarantee for this garden hose. Our PrimoFlex® Premium hoses contain yellow DuPont™ Kevlar® fibre. The use of this material is a distinctive feature of our hoses and underlines the high quality and strength. Phthalate-free (< 0.1 %): The PrimoFlex® hose is free from all potentially harmful chemicals, including phthalates (< 0.1 %), cadmium, barium and lead, meaning it is safe to use on food plants and on garden furniture. Innovative braided weave with yellow DuPontTM Kevlar® fibres.